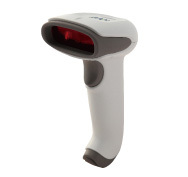 YOUJIE -YJ3300- BARCODE SCANNER - The best Hand held Laser Barcode Scanner rugged and easy to capture the data.Affordable and Best price 100% Alternative for CCD Scanner Scanner are slow on the performance and bit costly. 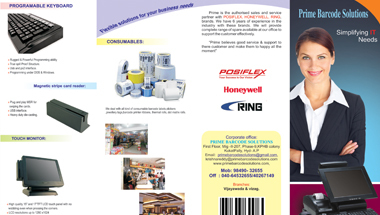 Yj3300-Scanner is the best laster 1D Barcode scanner available in Hyderabad,Bangalore,Vizag,Vijayawada all over india with best After sales Support . 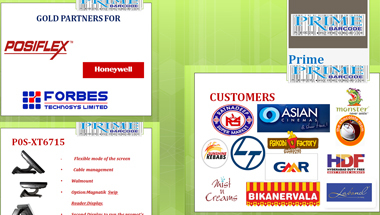 Prime Barcode Soluitons is the Authorized gold partner forYJ3300-Laser Barcode scanners for sales and service in Hyderabad,Vizag,Vijaywada,Bangalore all over India.